We offer a variety of different sized buses and limousines that holds different number of passengers. You will be able to find a vehicle that fits your party's needs perfectly. Each vehicle is also full of amenities that are sure to please you. Amenities like a booming stereo system, color changing lights, TVs that can play DVD or BluRays and a bar area for all your drinks. Explore our site to learn more about our vehicles and more about our company. Rent a limo bus with Limos Louisville and make impending event amazing. We provide the finest in limo bus service all around the metro Louisville, Kentucky area. We will be competitive with our prices to make sure you have the best limo bus for your budget and occasion. No need for any bother for getting transportation for your event. Our assortment of limo buses differs in sizes and features to fit any requirement of events, and that is what makes us a trusted local professional. We'll come pick you and up and take you back where you need to at the end of the night. Whether you're heading to an outdoor adventure such as the Mega Cavern or touring destinations in the city like the Zachary Taylor National Cemetery, we've got your group covered. There's a lot to see and experience out there! 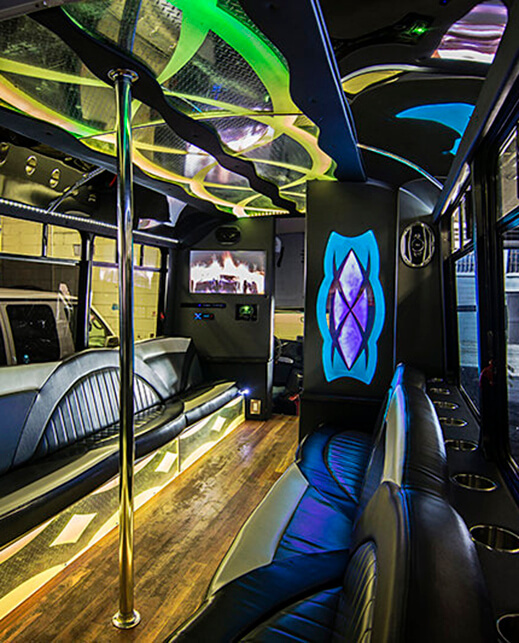 You'll be in safe hand with Limos Louisville or one of our trusted partners in another interesting city such as Chicagoland Party Bus. Having a limousine or a limo bus is a ton of fun. Everyone can travel together and have fun the entire time. It's like a club on wheels. 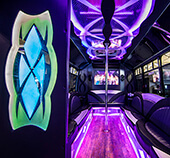 Between your stops, you'll be able to keep the party going by playing some loud music, getting a drink from the bar area, and dancing if you're in a limo bus. It allows you to relax, get drunk, if you want and not have to worry about how you are getting home or to your next stop. No need to call a taxi, an uber, or have or be a designated driver. Those people always miss out of the fun. You'll have a chauffeur who will make sure that you all get to where you need to be, safely. Our chauffeurs are professional drivers. They've been driving for years. Most of them are school bus drivers so they friendly, safe and experienced. They are knowledgeable to all the hot spots and popular places to go. The night before your run, they look at your destinations. Then they plan the best route to avoid traffic, construction and other things. All to ensure you get to your event on time. They also carry a GPS on them just in case of those times where a destination might be added or anything else. Take you time to explore our site. Learn about our buses and more. You can give us a call for a free quote. We'd be happy to help you pick out the perfect bus or limousine for your event. We can tale you calls at any time. If you have any questions or would like to make your reservation, give us a call also. Our booking agents are friendly and always available. In our time in business, we've gotten to know many of our customers on a first name basis. That's because they come back time and time again for all their special events and occasions. 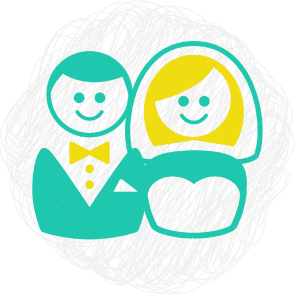 We've put together a few testimonials that we've received from repeat customers that we really appreciated, and thought we'd share them with you here. A positive review is always appreciated! "Thank you for your incredible service! My birthday party transportation was so wonderful that I just had to call you back for my wedding. The elegant vehicles are something that I really enjoy, and the service by the chauffeurs makes the overall experience so memorable. 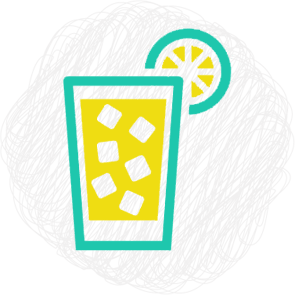 I'm in love with all the features, most especially the built in bar which I love to stock with bottled mixed drinks, iced coffee, and other goodies for the road. It's amazing to have all these features right there for us to enjoy throughout the evening, and it's even better knowing that our chauffeur is at the wheel all night long, standing in as a sort of designated driver. None of us have to fill that role and it's something we really appreciate! I'll definitely be a loyal customer for life." --Jennifer O. "I honestly can't believe what a great time we had on the road with your company! This wasn't my first rodeo... er, party bus trip... and even though we always have a damn good time, this one was just above and beyond anything we could have expected. It started with the planning process which went so smoothly, and then continued throughout the trip itself. The office staff goes so far out of their way to make sure that everything is just right, and then the night out is just so ideal because of all that forethought. The chauffeur was one of the nicest guys I've ever met and I really trusted him to be my driver for the night. I loved all the features in the bus, just hanging out with my friends and enjoying drinks from the bar, music on the stereo, and some great entertainment on the TVs. I just can't say enough positive things about your company and I truly look forward to doing business with you again in the near future." --Tim S.
"I wanted to thank you for providing such excellent service for my daughter's Sweet 16 party as well as for her high school graduation. I was nervous to let her go out on the road with all her friends for these big events but I had been told by other parents that she'd be in good hands with you guys, and indeed she was. My husband and I enjoyed a quiet night at home, feeling relaxed and worry-free, while she was out there living it up and feeling quite spoiled! She thought it was just the best present ever but it was actually quite a nice present for us too! When it was time for her graduation, it was a no-brainer to call you back and do it again. Won't be the last time! Thank you!" --Alana E.
We can service all types of events. Weddings, nights out, birthdays, bachelor parties, bachelorette parties, sports games and more. There's no limit to what you can use a limo bus or limousine for, from Bellevue Events to Napa Wine Transportation. If you need transportation, we can provide it to you, and we know the best limo providers across the country. Read more about popular events we service. Take a night off. Party, drink, dance, have fun. 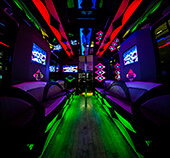 Take a limo bus full of your friends to the best bars in the area. No need for a designated driver! One of the best memories of your life. Cherish it with a great day filled with love and happiness for each other. Say "I Do" to a limousine!